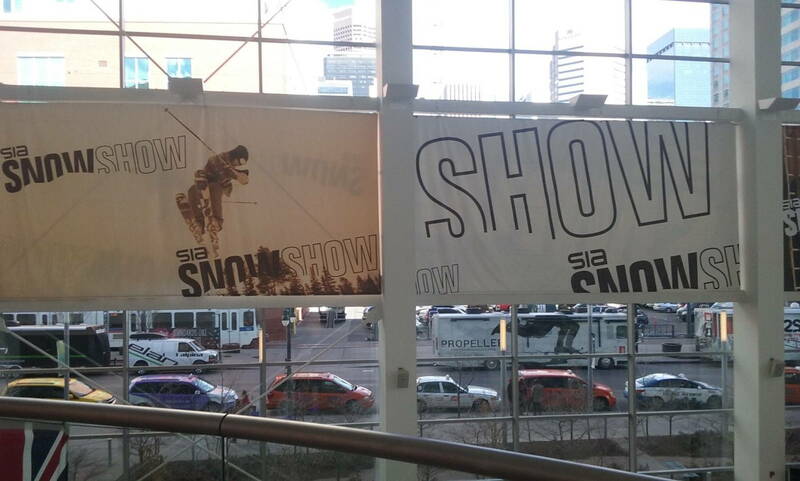 The Snowsports Industries of America (SIA) had their annual extravaganza. The Snow Show at the Denver Convention Center began January 28, and the On Snow demo at Copper Mountain continued through February 2. 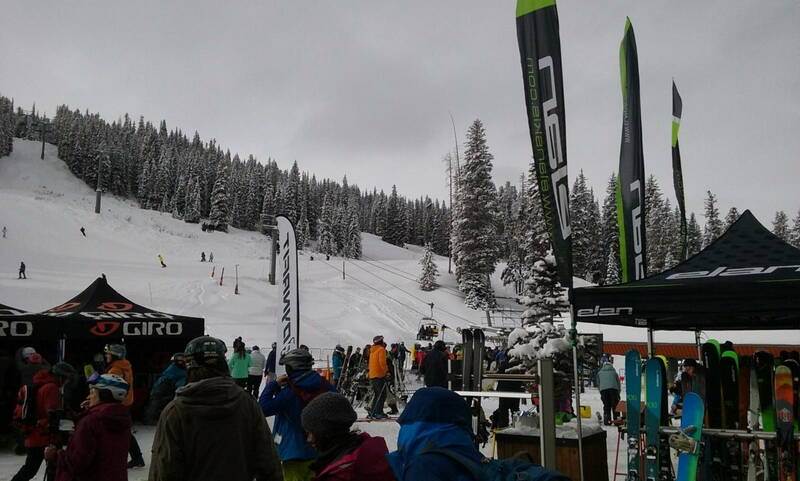 In the end 18,000 people participated and 137 companies were present on the snow. My birthday was also February 2, so this was all hugely gratifying to me; so many people made such an effort on my behalf. Actually I didn’t arrive until Saturday afternoon, and I felt like the kid who snuck in under the canvas into the big tent, but no one told me to leave so I took in as much as I could. By the way, I found my legs on the snow but in the clean environs of the Convention Center, it was a little intimidating. The variety of manufacturers seemed limitless; I wandered a little but mostly followed my heart; skis, skis, and so many skis, from Volkl to Voile and everyone else in the alphabet. Some things that I noticed; to get it out of the way I’ll start by mentioning unimaginative graphics (this trend will be obvious in pictures later). I was not a particular fan of the urban graffiti and twisted psychedelia that was the norm for about 10 years, but now the pendulum has thudded dully against the other extreme. Some bright colors, basic geometry and no imagination; although, I got an email after the event which quoted Trend forecaster Jessica Kaplan saying “snow trends for 2016/17 encompassed hallmarks of the past with inspiration from the golden years of 1970s skiing across color palettes and silhouettes.” I thought the graphics just kind of sucked, but I stand corrected. Top sheets and appearance aside, on the floor at Denver picking up the skis, turning them over and weighing their balance was like choosing a fantasy super tool. 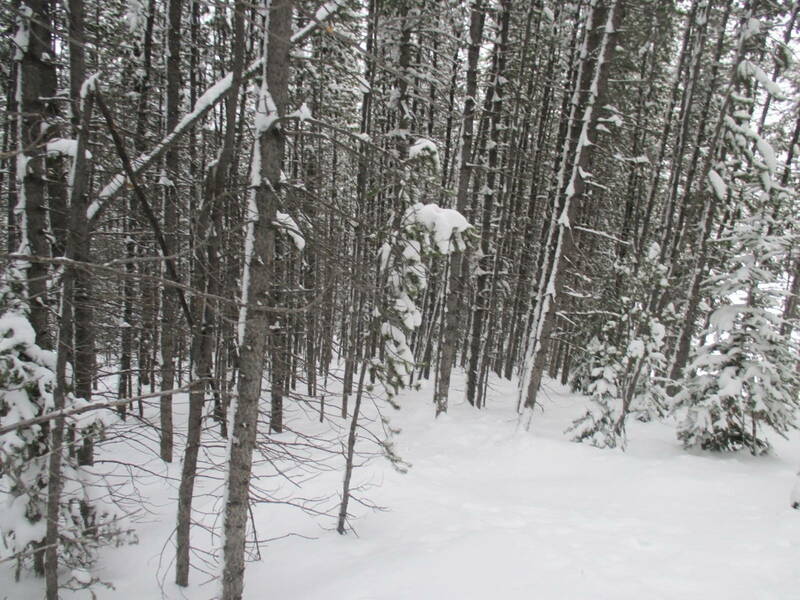 Without the bindings, and I am glad I got to examine so many skis flat, without the heavy demo bindings. On their own these skis are technological marvels; they are impossibly light to still have the substance and strength that is immediately obvious. I think it is a golden age right now, the fact that a lot of these will retail for $800 is amazing. There is a lot of silliness though. The determination to come up with special branding and supposedly unique technology is over the top. I have never seen so many attempts to brand wood; be it Aspen Paulownia or Poplar, as a proprietary material. Yes of course you were, may I suggest short radius slalom racing ski, monsieur? Indeeed, of course you were. Perhaps an all mountain? Yes? What variety of core? Well maybe dual titanal …. Ha, ha , ha, yes.. how very 2012, of course you are kidding sir, I understand. May I suggest a Bi-directional carbon matrix with proto polymer base? Um , is that expensive? Not at all sir, you pay a nominal fee for the words, that is all. Despite some silliness, for example Icelantic skis purporting to have a “carbonium” top sheet (just look it up on wiki, I won’t waste your time) or some Volkl skis sporting a UVO (Ultimate Vibration Object, don’t look that up, at least not at work) and despite all the branding and posturing, the improvements in weight and torsional strength from only a few years ago are amazing, and yes new carbon technologies have helped open that door. 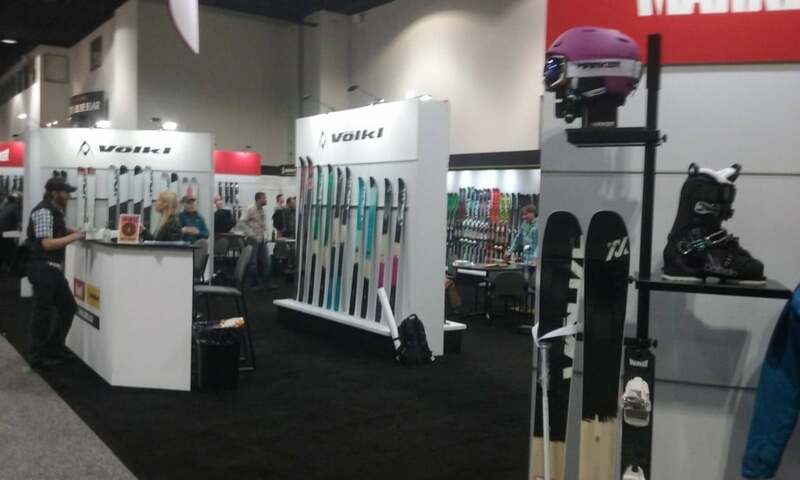 Looking at the skis in a carpeted convention hall environment was all well and good, but for me the ON SNOW demo at Copper Mountain was the main event. I love it when manufacturers come for demo days anywhere and in any number; so having 137 brands offering up next year’s goodies was near Nirvana for me. So let’s go to the Snow. I felt so lucky to try all this stuff out, such amazing gear. While I’ve poked fun at the snobbery and I have a soft spot for the smaller independent companies, I have to say that some of my best conversations were with the big boys. I recommend everyone break the ice with an austere Austrian racer, your whole day is better after that especially if you make them smile, and the Fischer Ranger was the BEST ski I tried. Things I discovered, some of which I knew. I think rocker technology has overrun its course. 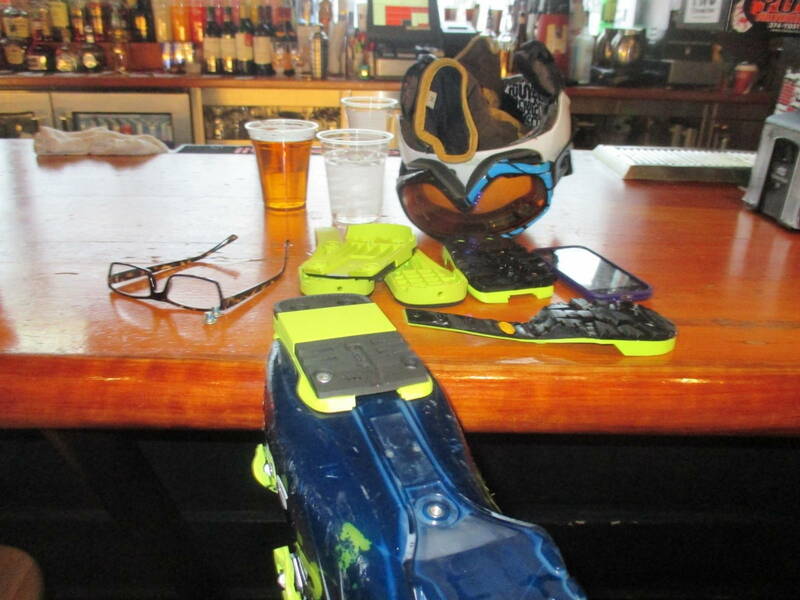 To ski full rocker on anything firm wears you out. 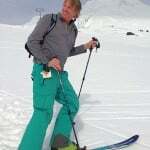 It’s a powder (ONLY) tool that many manufacturers have unfortunately generalized; skiing rocker even intermittently on a groomer is like being beat with a cricket bat, so says this Southeastern Gaper. I also used to think that heavy battleships were better all around, in crud, crust and choppy margins; I don’t think so now. 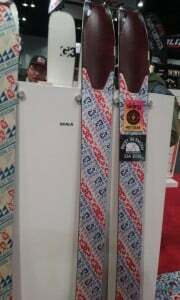 Light stiff skis that you can move easily let you go in and out of trees, and skim through the trash. 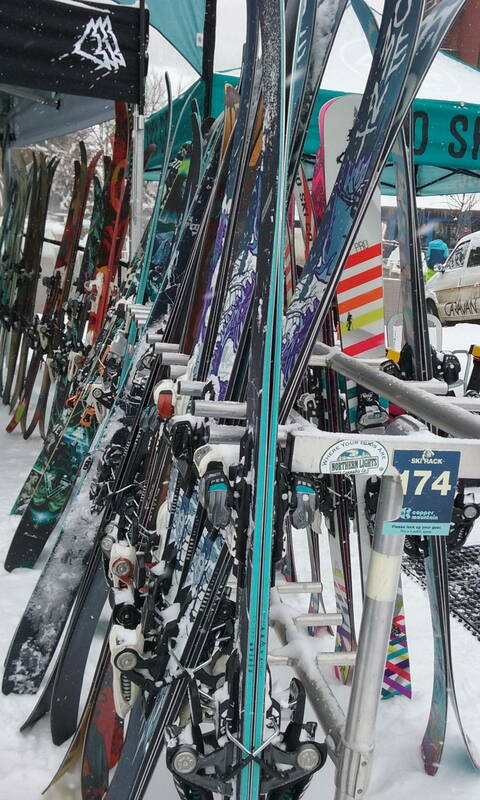 Lower swing weight and the efforts to lighten the ski’s tip and tail are major improvements. I didn’t drop cornices on them but I bet they make your first turn better, which is the turn that counts. Before I name more of my favorite skis, allow me to share the general conditions. 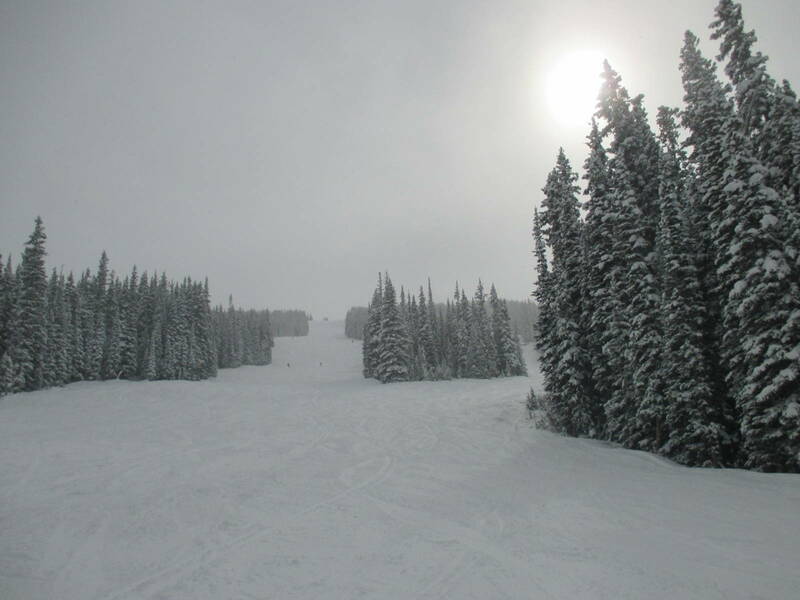 It was cold soft groomers with a lot of snow on the edges along the front side of Copper and I found West Virginia style trees there I never noticed before. But when there are hundreds of prime skis available for the sampling you are so determined to get back to the tents for the next pair that it can limit how deep in the mountain you venture, ah the tyranny of luxury. 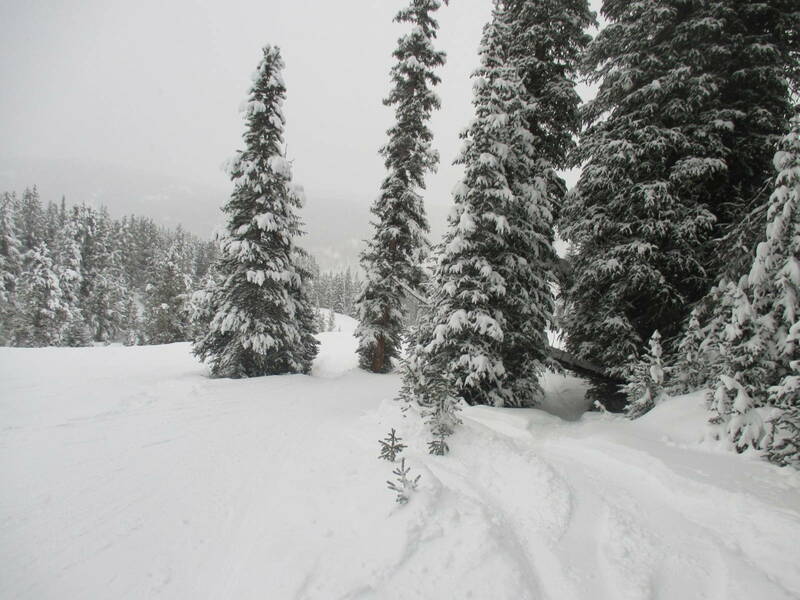 I never had time to head to the back lifts and bowls but it made me look harder at the margins of the front side than I ever have before and though I’m familiar with Copper I found a lot of new stuff. My Scarpa boots are set up for tech (touring) bindings so I started the day skiing Voile skis. By the way all the manufacturers have expanded their lines to appeal to the economically important and expanding “back country” niche. 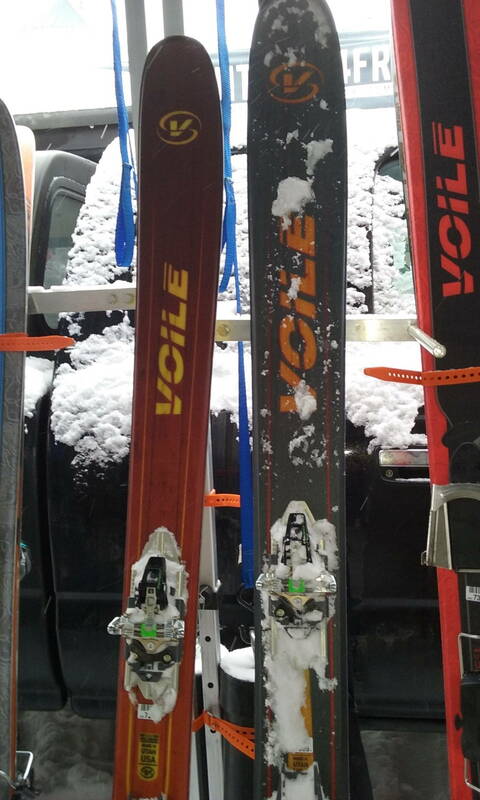 However, Voile’s focus has always been on general purpose and backcountry skiing. 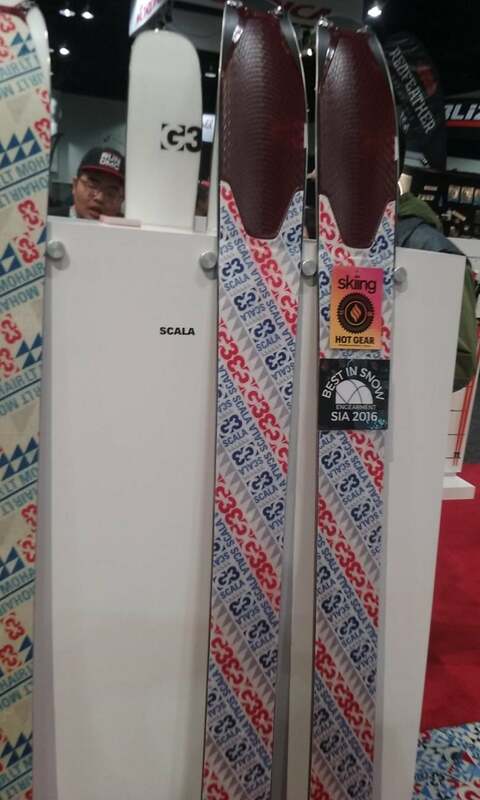 The Salt Lake City company has made a BC line of their touring oriented skis for a few years. The Vector and Charger BC have a fish scale pattern under the middle of the ski for quick low angle ascents, in my opinion one was too large and loose at 112 mm underfoot and the other a little small for deep trees at 92mm . But now there is a BC version of their V6 which I tried and found just right at 100mm underfoot. 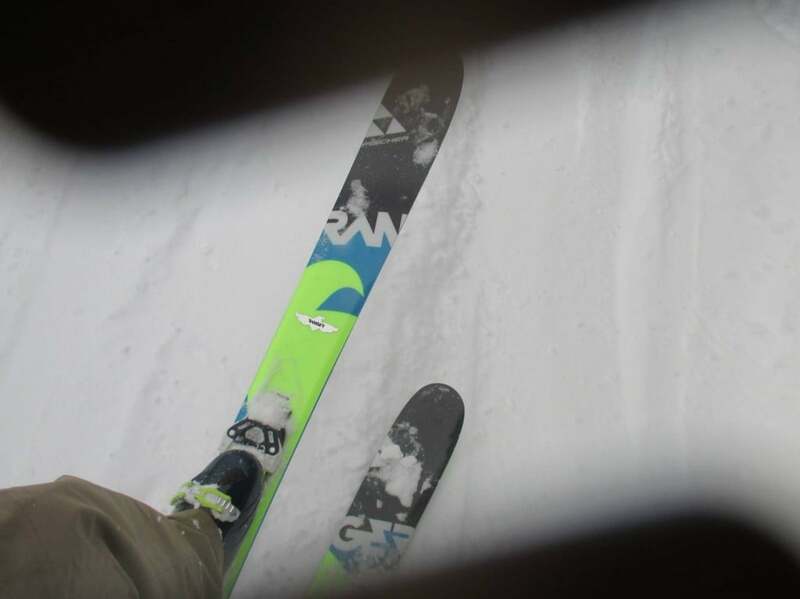 I wanted to try their “fish scale” pattern on groomers and crud to see how it affected slide and performance; last weekend I got to try it in trees and powder too. you should not do slalom with the V6… use the V8 (the burly one on the right) it’s size will confuse the competition. 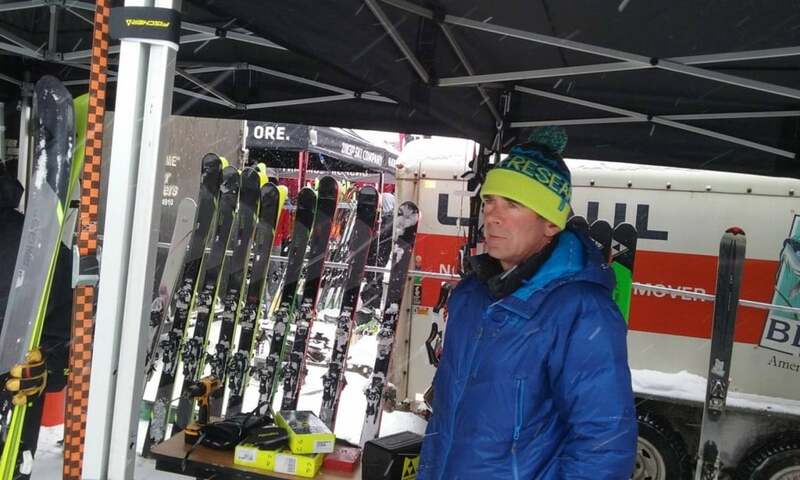 All the manufacturers I saw had Dynafit Radical 2.0 bindings on their touring models. These have a pivoting toe piece which improves their release values, fortunately it locks in touring mode but I still like my super light Speed Turns. By the way, while geeking on touring stuff, I have to say that G3 had a skin innovation that looked amazing. The front is a very light weight plastic shovel that has no resistance and the actual skin starts about a foot later. It’s genius really. And again in regard to BC check out this Leki pole, it’s carbon and breaks down like an avalanche probe, mind you it will not be cheap. The rep would not say but I think about $300. So late afternoon I changed my tech soles to regular alpine DIN soles, it was thirsty work. Which opened up the way for my favorite ski, as mentioned before, the Fischer Ranger 108, is the best crud to fast ski I have ever tried. I hate ski language, it is so preposterous but even in bad conditions , when you lean into the tip it will initiate a smooth turn. Absolutely my favorite all around, dare I say “one quiver”, “front side” ski. 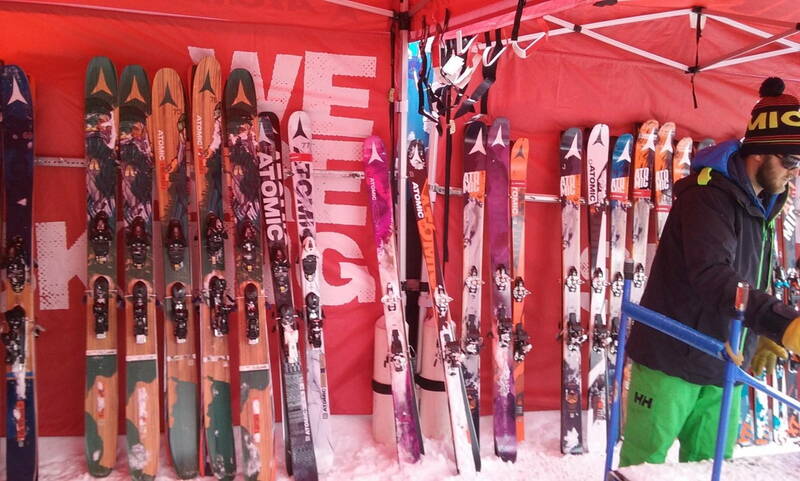 I have never skied the Atomic Automatic, but have wanted to since it is a perennial in annual “Best Ski” lists. The new iteration will be called the Backland, which is actually pretty funny as an indication of how much the companies want to capitalize on that valuable demographic. Still it is an amazing ski, like the Ranger but much faster and wider in its turns. 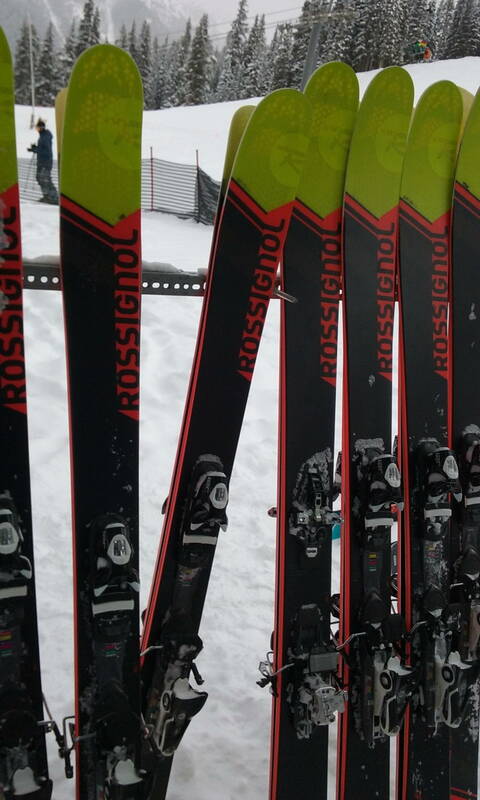 For my daily ski I have the girl version, the Savory7, of the 180 cm Rossignol Soul7, same ski just prettier (nothing understated about its graphics, a purple pixie on a pink Cadillac). 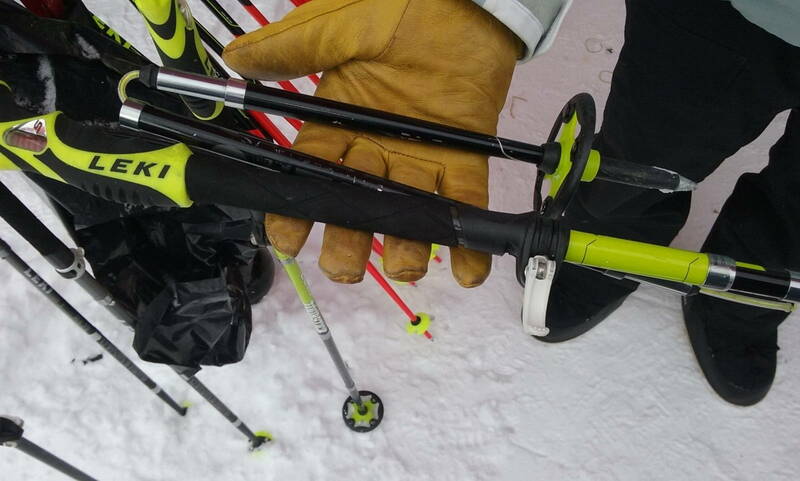 I checked out the 2017 Soul 7, the one I skiied is listed now as a 182 and there is now a carbon matrix layered in which really does firm it up and control the chatter, making a great ski even better. Moment skis out of Tahoe is an independent US company I have also wanted to try and they did not disappoint. Their Deathwish (what could go wrong) and lighter Underworld have amongst the most peculiar innovations, previously called the dirty moustache profile, their triple camber (see the apparent bend in the middle) allows an otherwise spinny ski to engage hard on edge. At first I was scared but then loved it, or maybe I was just bored of the other brands graphics. 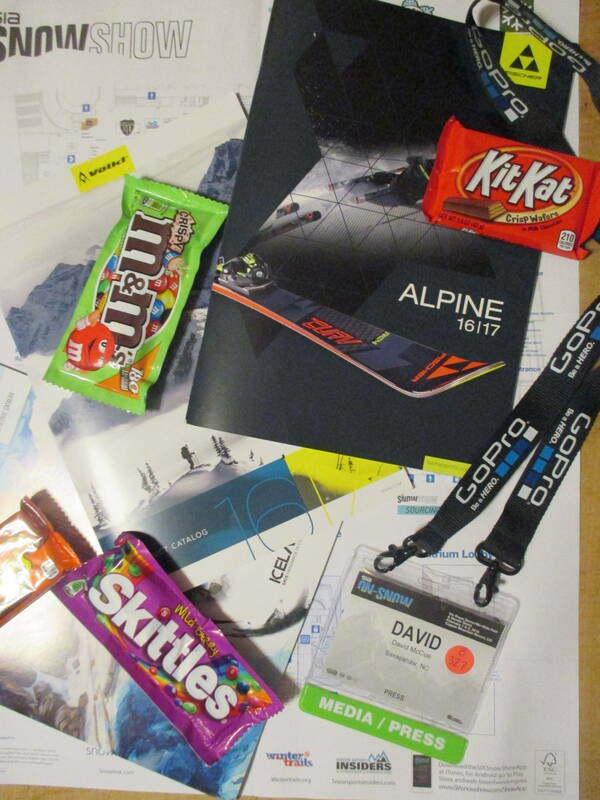 What a weekend, and to all the organizers and ski makers at the SIA show, thanks for all the candy, now I’m spoiled. Please sir, may I have another? 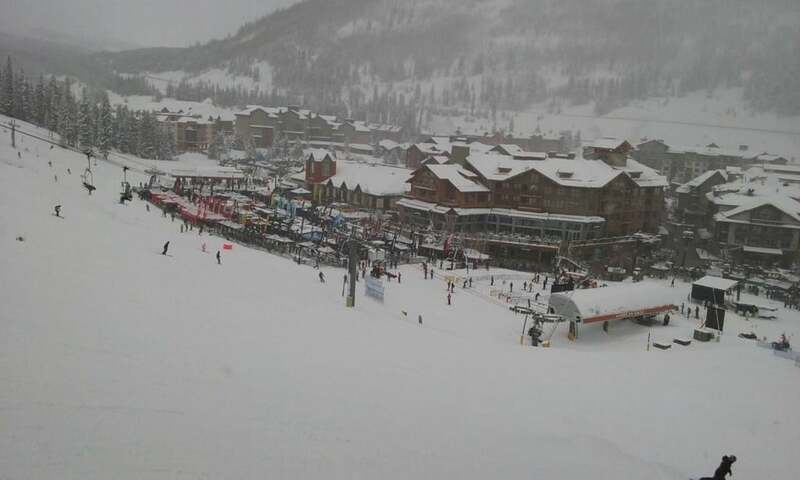 Previous article8 Inches Of Fresh Powder And Counting! What Are You Waiting For?